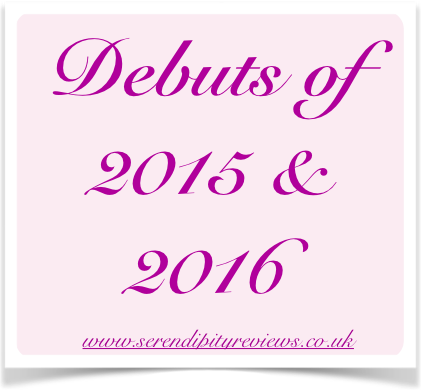 So we have reached our penultimate post of the Debuts series and I can't believe how quickly time has passed. Today I am pleased to welcome one of my really good friends, Kathryn Evans. 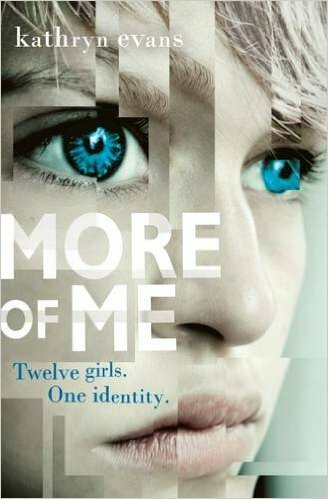 Kathryn is publishing her YA novel, More of Me in February with Usborne. So excited, I could actually be sick. And nervous – ridiculously so – I’ve arranged two launch parties – what if no one comes? What if no one buys the book? What if they buy the book and hate it? What if, what if, what if… Honestly though, after years of rejections and disappointments, 2015 was just the best year. I loved the editing process, I didn’t want it to end. And I loved the excitement around selling foreign rights. And I loved all the queries from people excited about the book and keen to do exciting things with it….I don’t want all that to end but I also think, well, if that’s it, then it’s enough. Whatever 2016 brings, nobody can take 2015 away. I did have a lot of down times when I thought, “What’s the point?” But I realised that even if I never got published, I would always want to write. There was a period when I had to stop though. We’d had a couple of tough years on the farm and around 2013 I was working crazy hours. As well as normal farm work I’d started up a little chocolate strawberry business to try and bolster farm income. 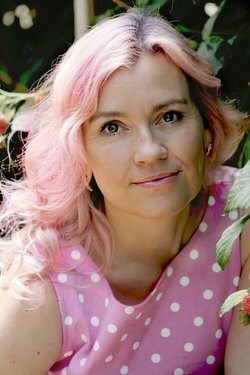 Then the young woman I’d trained to help me went on maternity leave so there I was with my normal job on the farm and the chocolate kitchen to run plus all the things of life a mother does – I was working 70-80 hours a week and struggling to find writing time so I made a decision that I had to give it up. It made me so unhappy. Deep, down unhappy. Writing is so much part of me, giving it up was like cutting off a limb. I’m afraid, in the end, the chocolate kitchen took a back seat to the writing. My family might have kicked me out if it hadn’t. I hope More of Me sells really well and pays back the faith my agent and my publisher have in me. I hope people love it. I hope some of the deals bubbling away behind the scenes come off. I hope I finish the new book and it’s good. I hope my son and daughter achieve their best in their exams. I hope we have a good farming year. I hope some of my writer friends have their talent recognized. I hope my cats stop robbing the dustbin. I hope I get booked for lots of events. I hope I do well in some fencing competitions. I hope Southern Rail sort out their train service. I am basically made of 90% hope. Oh lordy, I am always so insanely busy keeping myself occupied is never a problem. I work full time, I fence, I belly dance. I do a lot of volunteer stuff for SCBWI – sometimes I clean the house. I’m trying to write a new book and there’s been a bit of research involved in that – the lovely Helen Peters arranged for me to visit Roedean school, which was great. I’ve been planning the launch events for More of Me and writing a lot of blog posts. I joined the team at Notes from The Slushpile last year so have someone else’s schedule to keep. And I went skiing for the first time this Christmas – I loved it, Finland is beautiful. Don’t give up. Keep writing. If you really want it, keep writing. None of it is wasted time – you’re learning with every word you write. And be brave, submit your work, get involved in critiques, go to events so you can meet people and understand what the industry is looking for. I don’t mean in terms of style or story, there’s no point chasing the next big thing, nobody really knows what that will be, but in terms of a good submission package. Common errors, when you’re starting out, are submitting to agents or publishers who don’t handle your particular kind of work, or saying things like “you’d be a fool to miss this amazing story” – they’re not fools, they know what they’re doing. Nicola Morgan gives some great advice on submissions. Actually, she gives great advice on most things. Further down the line? Be patient. Even once you have your agent, you may not sell straight away. It really is true that an editor has to love your book, not just like it. They have to be passionate about it to try and sell it to the rest of their team and then the rest of their team have to be passionate about it to sell it to acquisitions. But above all else, write. Nothing happens if you don’t do that. Thank you Kathryn for giving us all hope. Come back tomorrow for our final Debut post, before the summary one on Friday. What a great interview, Kathy is so inspiring. I'm keeping my fingers crossed for More of Me and putting it on pre-order. I hope it does really well. As for Southern Rail sorting out their train service, I think the expression is eternal optimism... we can only hope. But, if I were a betting man, my money is on Kathy rather than the rail franchise!